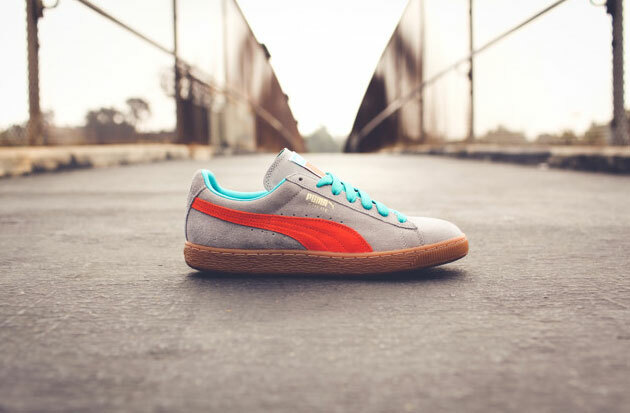 PUMA shows some much deserved love to their classic "Suede" model by teaming up with Co-Founder of Peas & Carrots International, Anwar Carrots. The end result is hands down one of our favorite collabs of the year. The two show pack comes in either the black based shoe or the light grey version. 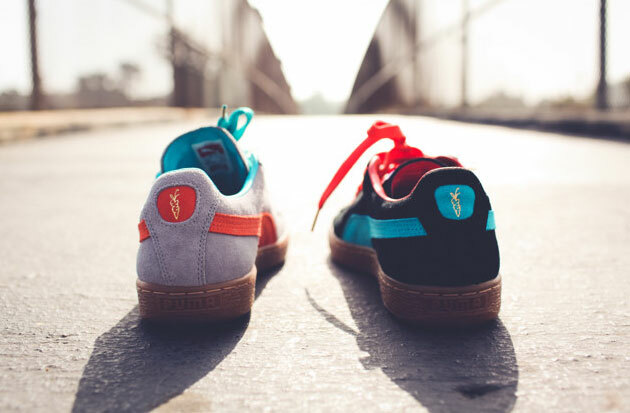 Both feature the orange and turquoise accent hits throughout which really make the shoe pop like no other. All of this sits on a classic gum bottom which completely pushes the shoe over the top if you ask us. 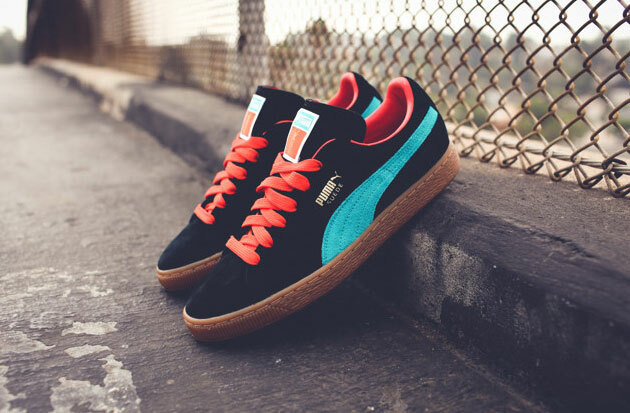 Make sure to hit up your PUMA connections on 6/25 when they official drop at select stockists.